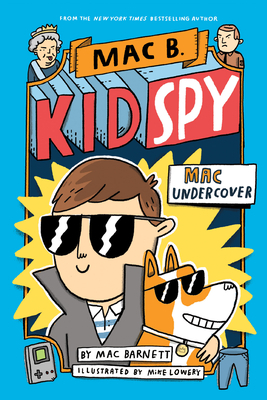 James Bond meets Diary of a Wimpy Kid with this groundbreaking fully-illustrated chapter book series Mac B., Kid Spy. The precious Crown Jewels have been stolen, and there's only one person who can help the Queen of England: her newest secret agent, Mac B. Mac travels around the globe in search of the stolen treasure...but will he find it in time? "Funny as a crumpet. (But truly, secretly a hundred times smarter.)" --Jon Scieszka, author of Caldecott Honor The Stinky Cheese Man and Other Fairly Stupid Tales and the New York Timesbestselling series Frank Einstein. "With a perfectly absurd premise, dialogue that demands outlandish accents, and a plot that interweaves global history and complete silliness, Barnett royally nails it." --Abby Hanlon, author of the Dory Fantasmagory series.